Trying to research two very lg. figure drawings by, “Mary E. Hutchinson.” They are an African Chief, “I presume,” in two different times in his life. I can send photo’s if you would like. I wanted some background on her and the artworks. Your blog supplied the bio. for her. I also am an artist and our daughter & husband head the STEM program at Forsyth County, Ga. She and I are also artists, as was my mother who was antique dealer in Sav. Ga. and bought these for me. Thank you for all the info. you gave on the site. 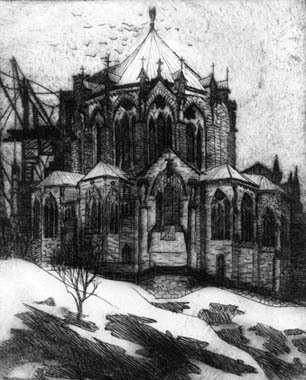 You are currently reading Etching Featured on Mary E. Hutchinson Site at Jae Turner.